To honor and bless a woman through all of the special transitions of life. A blessing ceremony is a gathering around a girl or woman in order to create a sacred bond of love, support and power as she prepares for a new stage of life or heals from a loss. Each ceremony is unique to the woman, life change or the rituals or traditions she is called to. A Mother Blessing ceremony (sometimes called a Blessingway) is a gathering of the mother-to-be and her closest women family and friends to create a sacred bond of love, support and power as she prepares for the birth and the experience of motherhood. Each ceremony is unique to the mother and any rituals or traditions she is called to. The circle of women initiates a support team in the time of transition and through the powerful experience of birth. Because when the baby is born, a mother is also born, and she too needs to be received, nurtured and supported on her journey. A Mother Blessing is for a first-time mom or a fifth-time time - it doesn't matter how many children she has birthed, each experience is different and sacred. See What to Expect below for more details. After the birth of a baby, regardless of the method, a space is open and empty within mother. The Postnatal Sealing Ceremony includes a cleansing ritual, blessings, Reiki if desired, the "closing the bones" ritual and space for processing. The purpose of the ceremony is to close the physical and energetic doorways that were opened during the birth, to nurture the new mother so that she may nurture her new baby and to allow space for processing the events of the birth. After the ceremony, mother may also receive a belly binding which connects and supports this sacred time to the mundane aspects of motherhood. After baby arrives a date will be set to hold the ceremony. The Sealing Ceremony may also be appropriate for pregnancy loss in conjunction with a birth trauma and loss ceremony. This may include a cleansing ritual, Reiki, blessings, the "closing the bones" ritual and space for processing. Partners or other friends are welcome to attend. All materials, planning and activities are provided by Sacred Rhythms. Ceremonies are excellent gifts for a new mother! They can be incorporated into a baby shower or as a baby shower gift to recognize the importance of mother in all this birth stuff! I offer gift certificates for Mother Blessing and Postnatal Sealing Ceremonies (I even accept "group" payments). Reiki is the art of channeling the Universal Life Force for healing and wellness. Anyone can practice and use Reiki and everyone can benefit from it. I have been using Reiki in my personal journey of self-healing and incorporate it into my yoga practice, yoga classes and my doula services. As a doula client, we can incorporate Reiki into at least one prenatal session, and it can be used during labor at anytime. Many times you wont know that we are using it, but that is the beauty and simplicity of Reiki. Reiki is a gentle, relaxing mode of healing facilitated by an attuned practitioner. 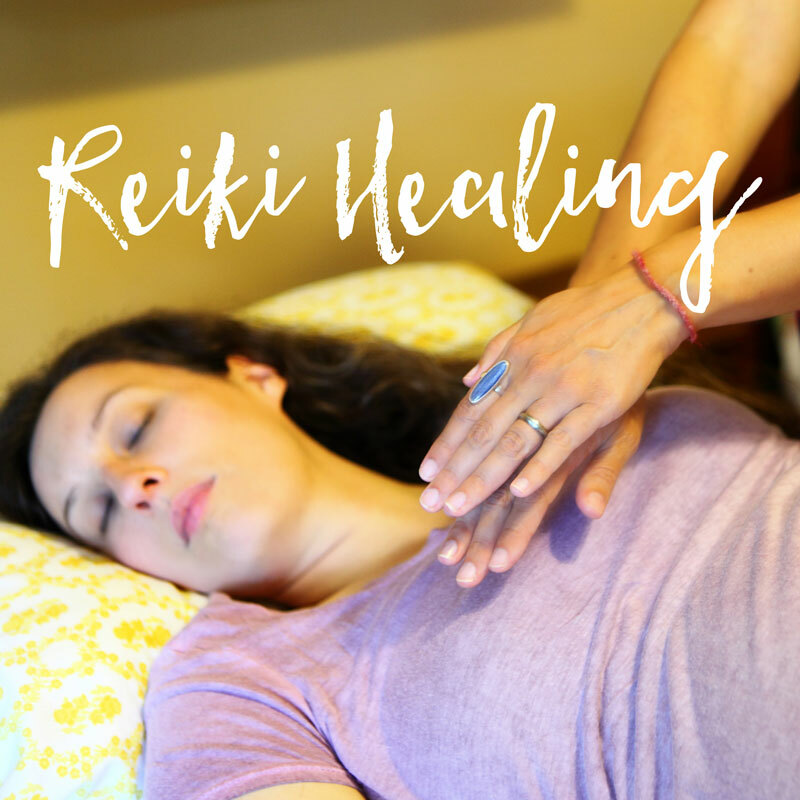 If you are seeking a new expression of fertility, pregnancy, birth or postpartum Reiki is a safe way to access your body's innate potential for self-healing. Birth is just one of the important transitions and transformations that happens in our lives. We can hold ceremony to honor the arrival of menstruation or the moon cycle, to honor the union of love, the end of menstruation or any other event in which a transformation happens. By setting aside time, gathering together a circle of support and creating intention, we can infuse live with power and joy. We begin with a 1 hour consultation to determine the intention of the ceremony, and then plan logistics of time and place, guest list, specific activities and rituals and anything else to be included in the ceremony. Several hours goes into planning, preparing and providing the Blessing Ceremony. The base price for my service is $250, and you may want to hire other professionals to add to the ceremony. Blessing ceremonies are also great gifts for the mother-to-be and group payments are accepted.